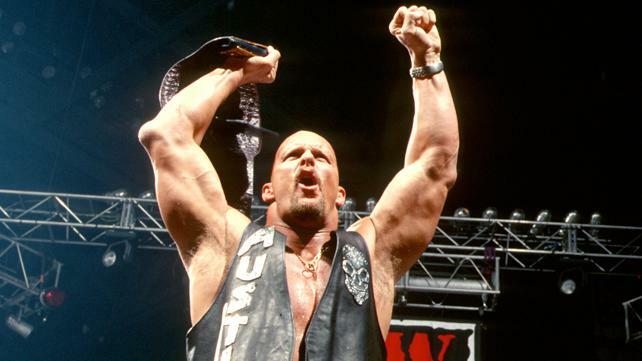 With that proclamation at King of the Ring 1996, “Stone Cold” Steve Austin set into motion a veritable revolution that would forever change the face of sports-entertainment. At the center of that revolution over the next several years was The Texas Rattlesnake himself, whose clashes with authority and take-no-prisoners approach to, well, everything inspired an entire generation of Superstars to speak their minds and take charge — the very essence of The Attitude Era. When thinking back on The Attitude Era, “Stone Cold’s” frequent battles with Mr. McMahon immediately spring to mind, and for good reason. The Bionic Redneck’s ability to get under The Chairman’s skin kept WWE Universe members glued to their TV sets each and every week as we all waited to see what Austin would do or say next. Whether he was driving down the entrance ramp in a Zamboni, dousing The Corporation with beer or battling the likes of Shawn Michaels, The Rock and Triple H for the WWE Title, “Stone Cold” personified what it meant to be a WWE Superstar during The Attitude Era … and that’s the bottom line.